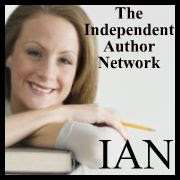 Living (and writing about) the Law of Attraction! We climbed the Acropolis today. A steep climb but the view was worth it. 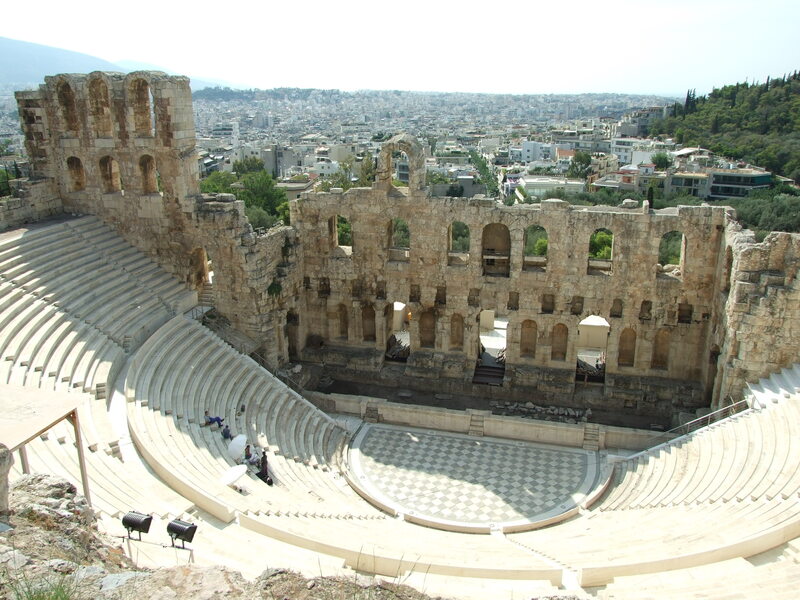 You can see Athens spreading out for miles in all directions (a city of 4,500,000 inhabitants). Old and new blend almost seamlessly here―the ancient alongside the modern everywhere you look. Dogs are everywhere here. Unlike Venice where every dog was attached to his master, here they simply follow the crowds of people or lie in the shade. I watched a few, curious to see if they belonged to someone, but no one seemed to pay them any attention. Some looked sad. Others relaxed in the sun. 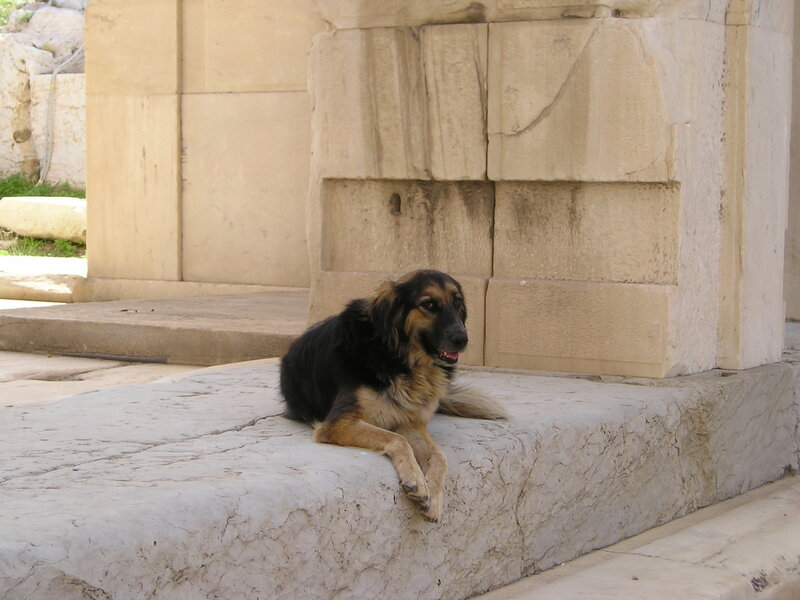 Some appeared to be guarding something―like the one we saw atop the acropolis, just lying near the Temple of Athena watching the crowds pass by. 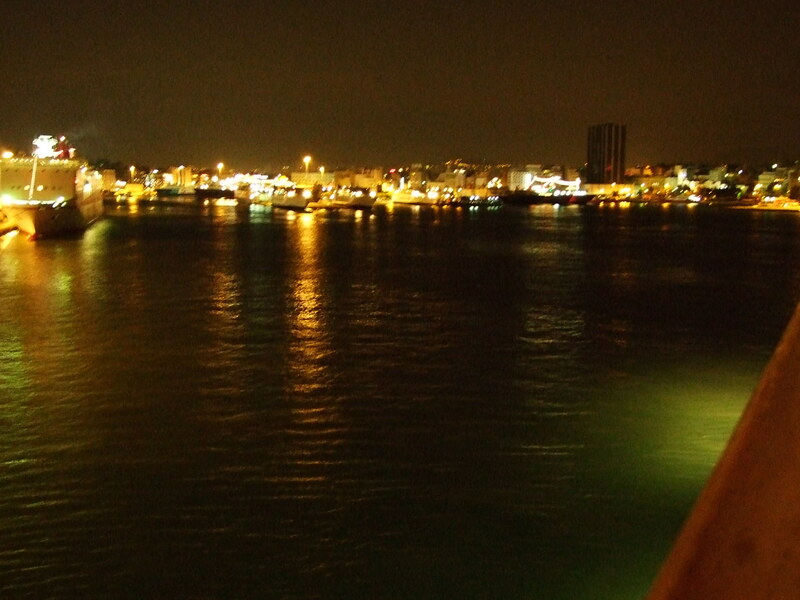 Arriving at the port, we experienced what was to be the theme of the day―confusion! No clear direction. Even the English signs and English speaking people in the terminal weren’t much help. So we headed out the main doors, hoping we might see which way to go. There, we were met with swarms of taxi drivers, ascending on unwitting and disoriented tourists, like wasps at a picnic. And just like the wasps, I felt like swatting a few of them! Someone from our cruise ship had told us of a city tour bus aptly named ‘Hop on, Hop off’ so we kept walking away from the terminal until we found it. It wasn’t far and soon we were seated on the top of a brightly colored double decker bus. Perfect. If we had understood the man who sold us the ticket (and we were confident we did) we could now just sit back and enjoy the sights, listen to an English tour-guide on the earphones and hop off at any point to have a closer look at the tourist attractions on our route. We really only wanted to get off to see the Acropolis and the rest we were content to view from our open-air seats on the bus. Ten minutes later, the bus stopped and we were told we had to get off because the bus we were on was going back to the terminal. 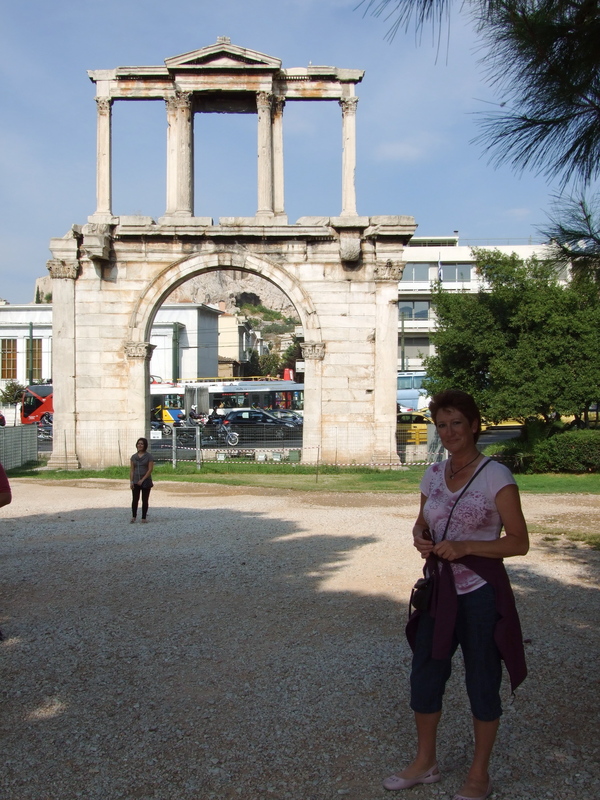 The one we needed was across the street and would take us on the Athens tour. Okay, fine. We crossed the street and again managed to get a seat on the top deck. 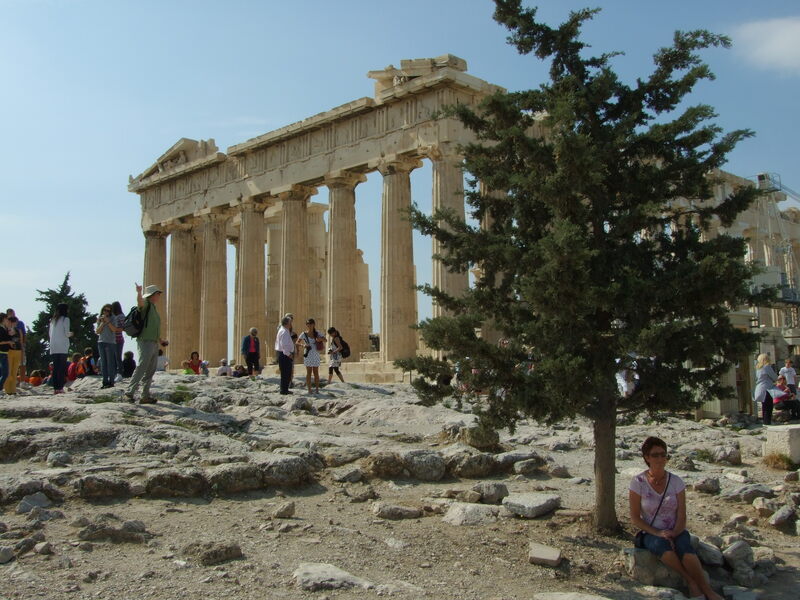 The Acropolis was the second stop, but getting to it involved a slow drive up a narrow street following a line of other tour buses. We could see our destination, but were inching our way there and breathing in diesel fumes. Another couple got fed up and asked the driver if they could get off and walk. We followed them. In my mind, Athens is one of those places that you go to see because it’s famous, it contains one of the seven wonders of the world, it is the birthplace of philosophy, democracy and drama… yada, yada, yada. But having seen it, I have no desire to go back. The marble is lovely (and plentiful) the columns are impressive, the architecture is to be appreciated. The history is fascinating. Waiting at our stop on the other side was a large crowd of disgruntled people. Apparently they had been waiting awhile. Several busses had come and gone, but were mostly filled so only a few people were able to get on. Things worked out (as they always do) and we got back to our cruise ship on time. We even had time to stop at Starbucks near the terminal for a frappachino. 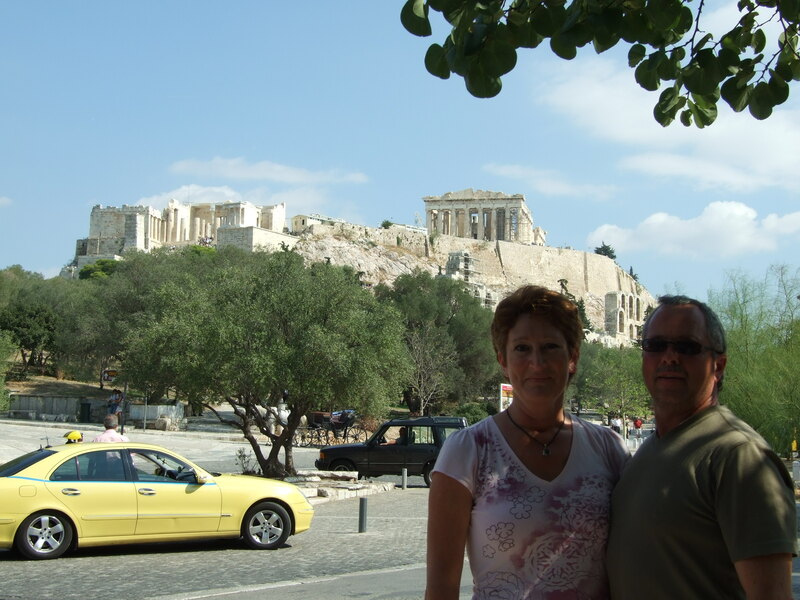 We were hot and tired and thoroughly enjoyed the icy cold beverage as we left the confusion of Athens and were greeted by the smiling faces of our cruise ship personal.